Recent release “The Ripple Effect” from Page Publishing author James George is the autobiography of an addict imprisoned at the age of sixteen. Now serving a life sentence, he entered a prison-based treatment program, is succeeding in his recovery, and is now sharing his heartbreaking story to help and inspire others. 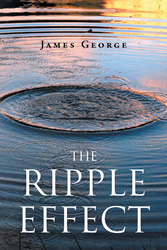 James George, a recovering addict who entered treatment in 1998 and has spent his time since completing the program helping others find sobriety, has completed his new book “The Ripple Effect”: a gripping and potent memoir of a dysfunctional childhood, the spiral into drug and alcohol abuse and inevitable criminality and incarceration. George ultimately succeeds in coming to terms with his addiction and using his experience to help others in prison find the inner strength to overcome their own. James shares, “When I first decided to write this book, I knew it was meant to be an autobiography of a drug addict or a criminal, but as it began to take shape, I realized it was to become much more. The story of an addict is not uncommon; there are literally millions of us in this country alone. What I attempted to do was focus on the aspect of treatment. Not just conventional treatment utilized by facilities on the outside and as the format for programs in prison, but a radical, new approach far more intense. Having spent years actively involved in treatment in a prison setting, I have witnessed the positive effect it can have when properly applied. I have also witnessed the detrimental effects DOC can have on treatment when they become involved, having absolutely no knowledge of treatment dynamics and thereby undermining the progressive application of the program. My intention is not to demean corrections and the vital role it has in society but rather to expound on the importance of the two, embracing the concept of rehabilitation. Should corrections and treatment come together with one aim, to rehabilitate the addict or criminal and return him to society as a responsible, productive member of the community, I envision a new dimension in corrections. Corrections have recently accepted the idea of faith-based pro- grams in our prisons being supported by churches and religious organizations. This is a wonderful concept in and of itself, offering spiritual guidance to those seeking it. More importantly, churches are coming together, offering help upon release of these inmates, assisting in their reentry into society. How much more successful could these programs be should they, too, embrace treatment! Published by New York City-based Page Publishing, James George’s cautionary tale is a clear-eyed glimpse of early life conditions providing an easy and nearly inevitable pathway to alcohol, drugs, and crime, and a deeply personal journey toward finding faith and the courage needed to overcome addiction and take responsibility for his life and future. Readers who wish to experience this inspiring work can purchase “The Ripple Effect” at bookstores everywhere, or online at the Apple iTunes store, Amazon, Google Play or Barnes and Noble.